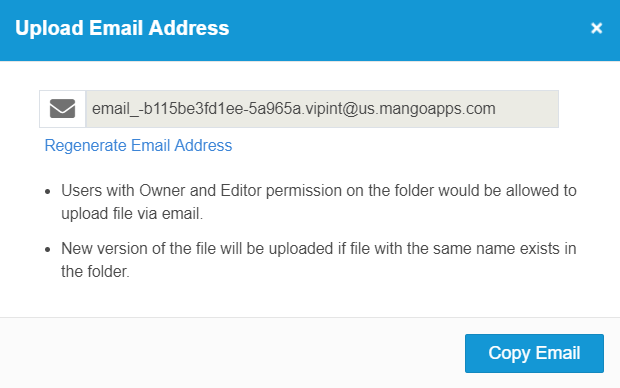 /Documents & Wikis /Miscellaneous /How Can a User Upload Files to a Mangoapps Folder Via Email? 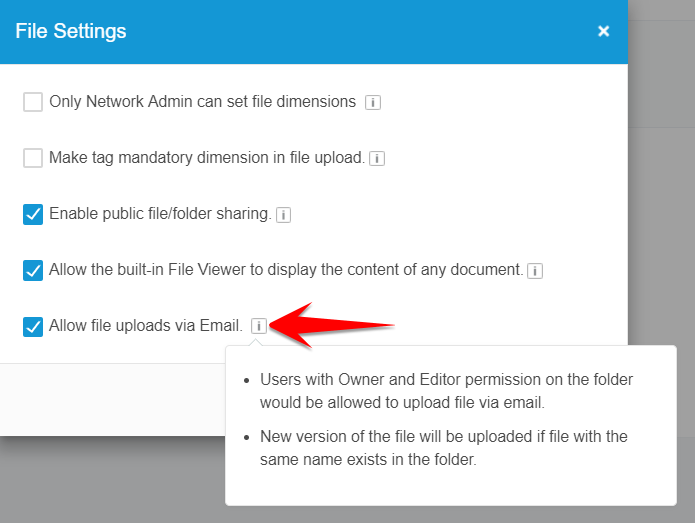 Files module has a setting to allow users to upload files to a folder using its email address. By default, this setting is ON/enabled. 4. Enable ‘Allow file uploads via Email’. 4. The user can also ‘Regenerate Email Address’ which will generate a new email address for the folder and invalidate the current email address.